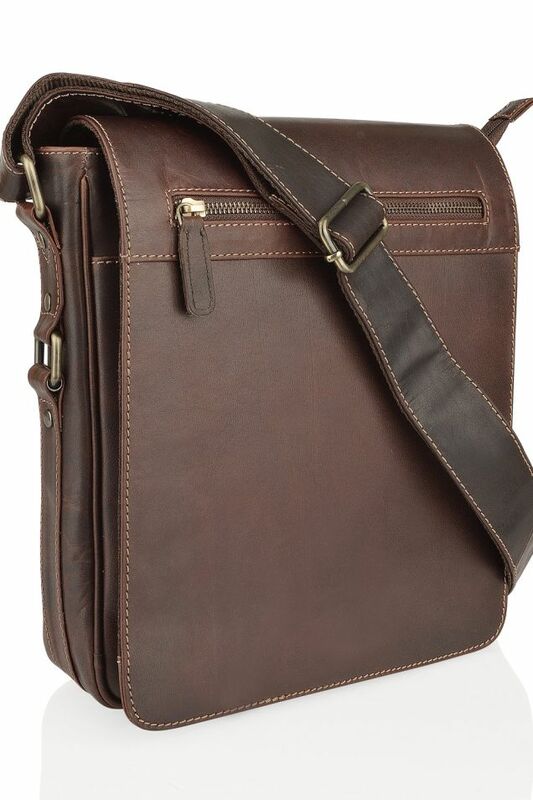 This Woodland Leather Portrait Messenger Bag has been made from a high grade of buffalo leather. The leather used is an aged leather also known as Burnish. Timeless in style, colour and will age beautifully with use. The main front flap fastens with one concealed magnetic poppers. It has a loose compartment with a zipped compartment directly behind. The main compartment is large and easy to access. Will easily house a small notepad, stationary, pens, business cards and a mobile phone. In this main compartment has a small zipped compartment perfect sewn into the lining, ideal for storing those essential items. There is an adjustable and matching shoulder strap measuring appx 42 inches. The strap is webbed for strength. Great stitch detail throughout the bag for both style and detail.